sticker on the abdominal plating (which is rather cheap and unfair, considering that both the Scarecrow and the Cowardly Lion got their diploma and medal (respectively) made out of actual plastic. A pair of silver, soft plastic boots completes the ensemble. His only accessory is an axe, which is made up of two pieces, the handle (brown) and the blade (silver). 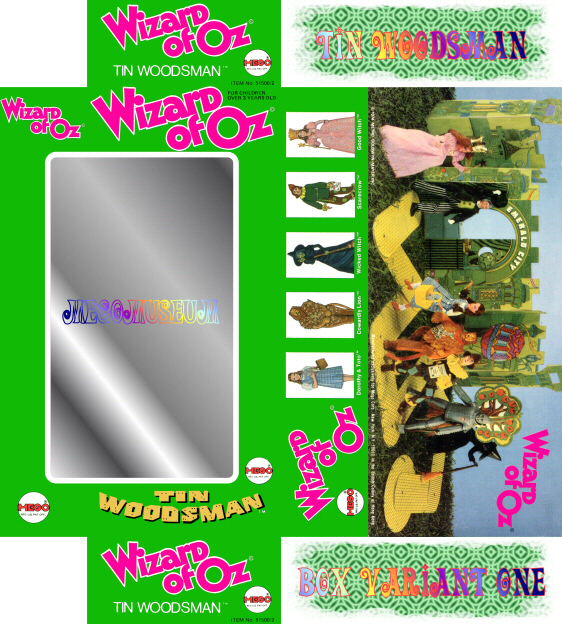 Package Variants: Like all of the other first series figures (except the Wizard), the Tin Woodsman is available in both the “plain green” and “yellow brick road” boxes. 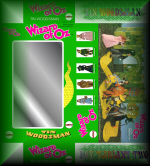 He was also available in a plastic header-carded baggie for clearance purposes (a rare end-run variant), as well as being included in the ultra-rare Emerald City Gift Set (along with the other six figures form series one). 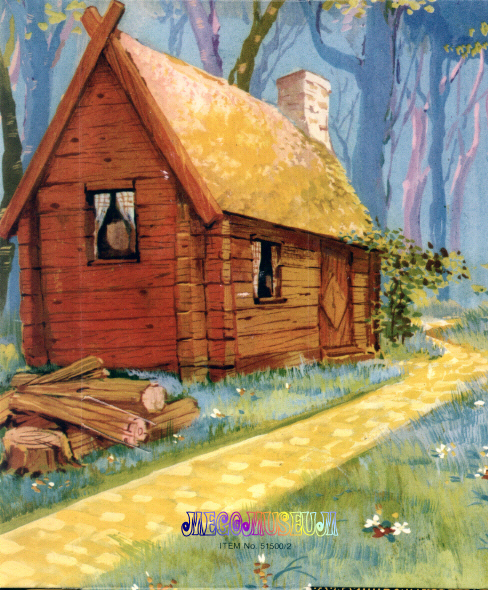 Figure Variants: The Tin Woodsman is available on both a Type 1 and a Type 2 body. Caution Collectors: Treat the Tin Woodsman’s axe gently, as the blade piece is extremely prone to cracking and breakage. When buying a loose Tin Woodsman, inspect the axe for signs of cracking or repair (usually performed with Super-Glue). Did You Know? 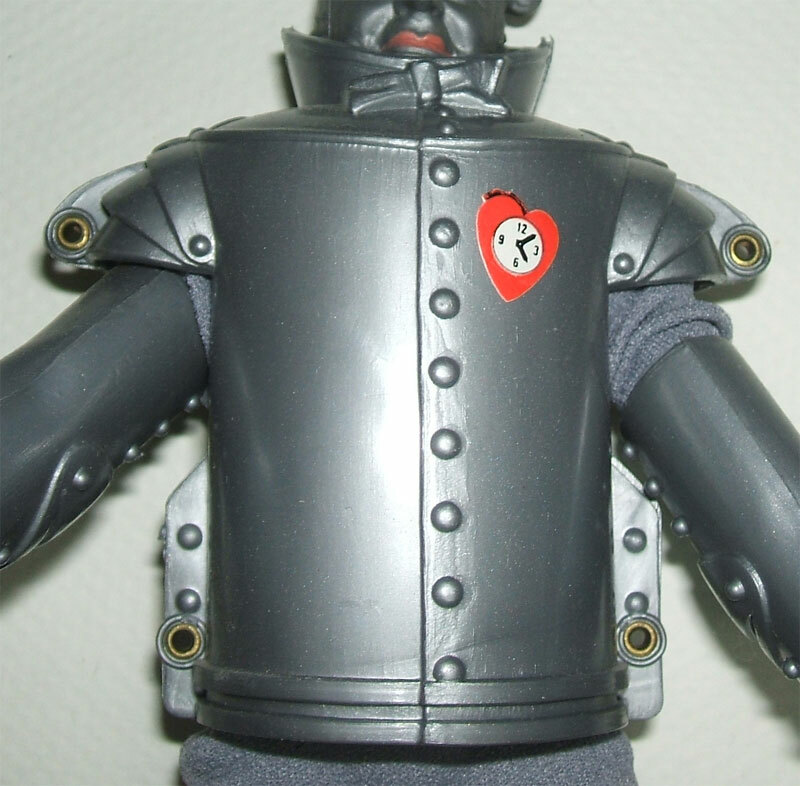 : The Tin Woodsman’s torso armor is so big and bulky that it does not permit the use of a white twist-tie to anchor the figure to the insert (as is the standard packaging method for the other six first-series figures). 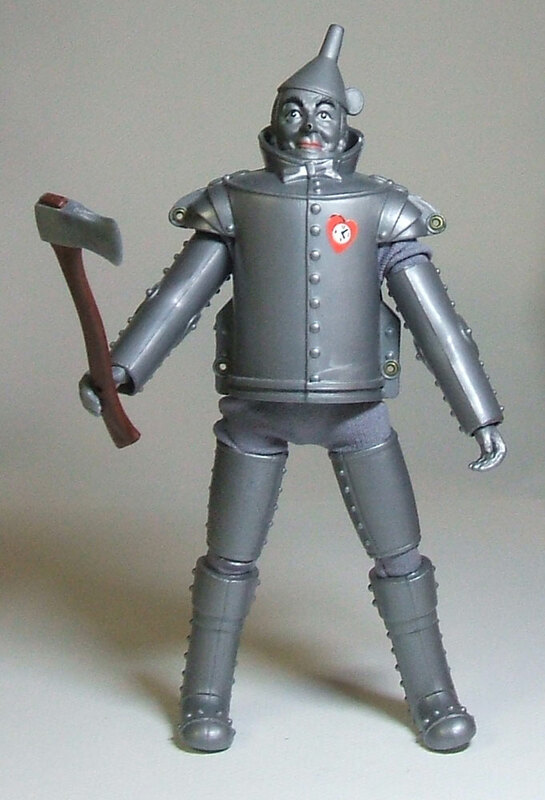 Therefore, the Tin Woodsman is the only first-series figure not to come with a twist-tie, or twist-tie holes in its insert. Box Variants and Box Insert! 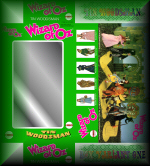 Above is an example of a mint-in-box Tin Woodsman on a Type 1 body in a “plain green” box (left), and a mint-in-box Tin Woodsman on a Type 2 body in a “yellow brick road” box (right). 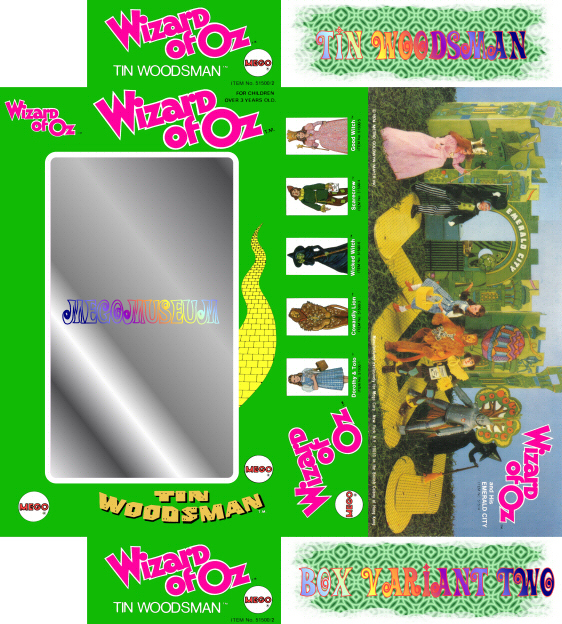 Above is an example of a catalog mailer box for the Tin Woodsman figure (perhaps the “C” denotes a Canadian of Catalog release?). The Great Oz gave the Tinman a heart shaped Pocket Watch. 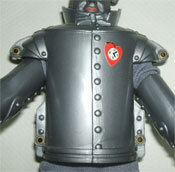 Mego gave him a sticker of that pocket watch for his chest “armor”. 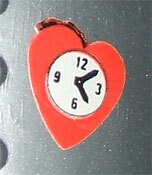 To be complete, Tinman must have his heart sticker, and it has not been factory reproduced. 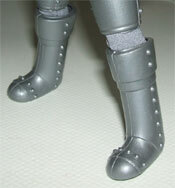 Tinman wears silver boots with studs that represent his bolts on them. 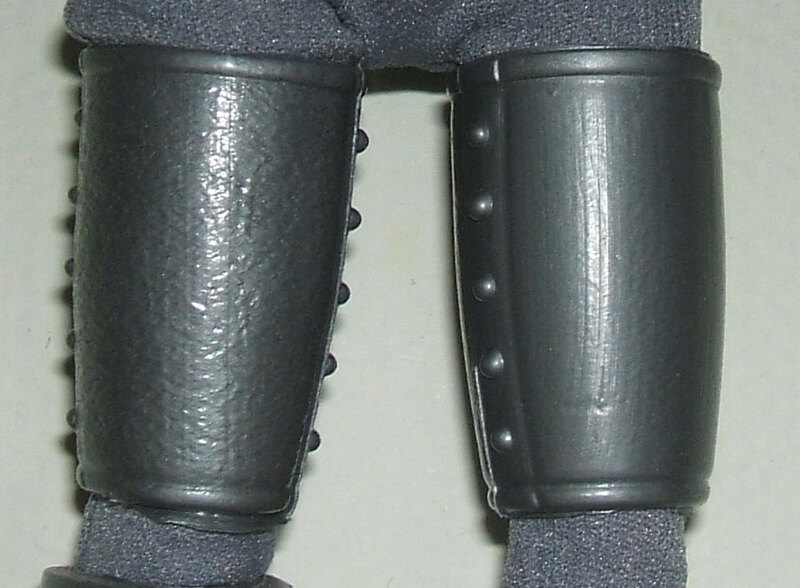 These boots are unique to the character and have not been factory reproduced. 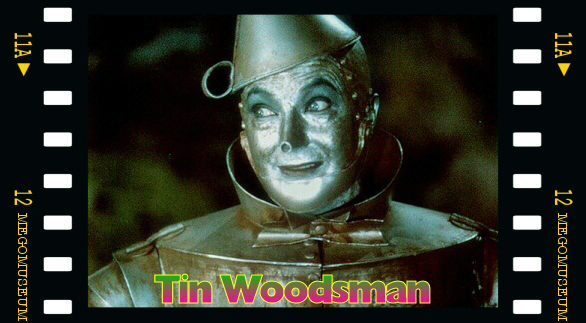 Not sure that Tinman’s parts can be called armor, but for lack of a better term, that’s what we will use. 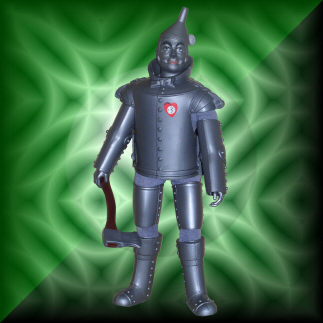 Tinman has upper body “armor” over his type 1 or type 2 body. 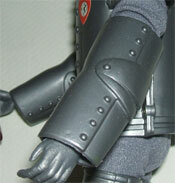 This is removable, but it takes a lot of work, so it is rarely missing from the figure. This armor has not been factory reproduced. Tinman has slip on “armor” on each arm. This armor has not been factory reproduced. Tinman has slip on “armor” on each leg. This armor has not been factory reproduced. Of course a woodsman needs his Axe. 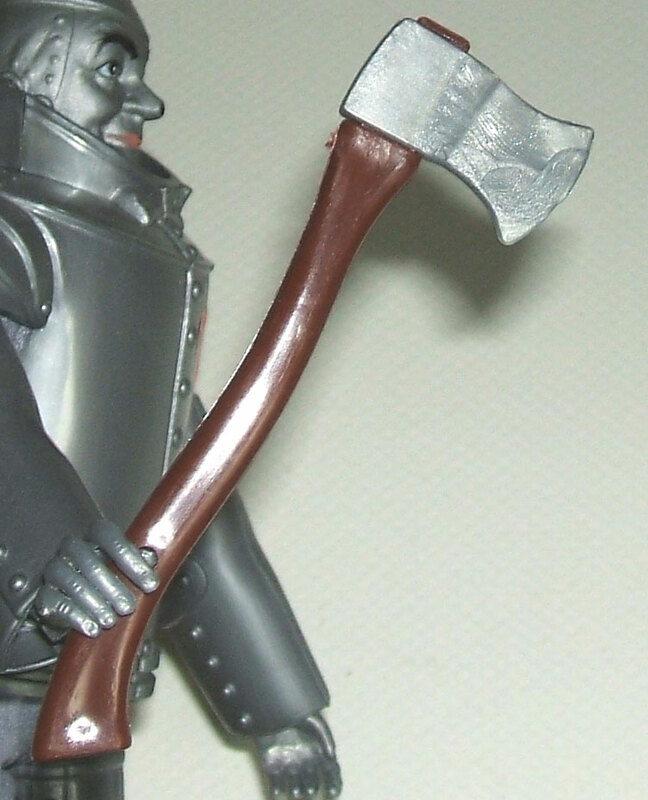 Tinman carries an axe that can also be found in some figures in the Lion Rock line. The axe has not been factory reproduced.